The growing tourism industry in Malaysia has spiraled greatly into the growth of many other industries. The hospitality industry for one has been by far the greatest beneficiary of tourism. The hotel industry has grown not only in quantity but also in quality and specialty. World-class hotels are quickly taking root and establishing branches in Malaysia. A large part of this is a result of the extreme ease that one can setup a Malaysia Sdn Bhd company. When starting a hotel business in Malaysia, a lot of considerations have to be made. These considerations are all targeted at making sure that you have a solid start on the hotel and that you maintain a certain pace of growth. The better your start, the greater the guarantee on profitable returns. The target when aiming for a fast but certain and stable start, is spending less on investment but getting more on returns. Regardless of the type of business, the cost of the business especially at startup, has to be considered at great length. The evaluations have to be made, not just as an estimate, but with actual figures and real research. The ballpark figures can then be checked and a clear picture of whether the business would be profitable or not is then made. The most important cost estimates on startup include cost of construction, the cost of legislation and licensing, cost of resource acquisition, logistical costs, maintenance costs and the cost of running the business. As a foreigner, the rules on licensing are different from those that are applied to a local. 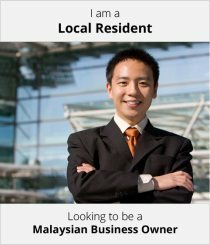 A Malaysian business license is necessary for you to conduct any business legally within the country. To get the business license you must follow all the necessary and stipulated procedures set by the ministry. On filing all the necessary papers, you are then recognized as a legal business. Competition could essentially mean the successful start or inevitable end of your business. 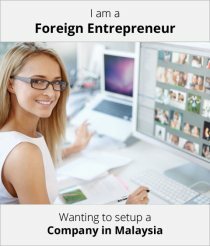 If you are a foreigner, the first thing you should do is a market evaluation. This gives you necessary information on whether the market is conducive for your hotel or not. First and foremost, you need to figure out how much of the population will find a hotel necessary. Of that percentage, you then need to figure out how many are already served by the existing hotels. Then you need to check to figure out whether your hotel will be of a higher or lower quality. If yes, then you can successfully setup. If not, you might need a better market strategy. Most businesses do not need to consider an X-Factor, at the very least, not on startup. For a hotel business in Malaysia on the other hand, where we have established that you should expect stiff competition, an X-Factor is a necessity. The X-Factor is essentially a quality that makes your hotel better than all the rest. As a startup, the X-Factor will be your selling point and ideally, the basis of your success. It should be a quality that is necessary and in demand, but also inexpensive and easy to deliver. A world destination, Malaysia has hotels with very high ratings. It is therefore necessary that you consider the quality of service that you intend to offer in your hotel. If your target market is the tourists and other foreigners, then you can have very little compromise on quality. Remember that the better the quality, the better the reception of your hotel in the market. Most businesses fail overseas because of a lack in labor. The cost of labor has to be low but the labor itself has to be of a high quality. The best part about Malaysia is that you do not have to import your own labor since the local labor force is well educated and highly skilled. Professionalism and experience are key components to any hotel business and getting the best labor the market has to offer is of vital importance. Long-term plans have to be laid out at the very beginning. This ensures that you provide yourself with enough room to cater for any upcoming challenges as well as the realization of your dream. Your plans stipulate the amount of real estate you need to for future expansions, the amount of capital investment you would require for future stages in your business and other important evaluations. Hotels are primarily service industries and one of the most important aspects of consideration is the real estate. Prime real estate is a major consideration when making the evaluation for where to set up your business. The first assessment should be location. The location is the prime factor of consideration. Your hotel should be located near a major transport system with easy access. Of course, you get bonus points if your hotel’s location is in a place with an exotic view or other qualities, such as the beach, proximity to a landmark or mountain and such. The real estate evaluation should also cater for future plans for expansion. You should also consider the cost of logistics in consideration to your hotel’s location. Factors, for example, such as as how far the labor has to commute to and from work and how costly that would be, how far the hotel is from the major suppliers of produce and such factors. Appeal is an important aspect of businesses in the hospitality industry. The design of your hotel determines how much appeal it has for your clients. You do not need to have a great design but it is advisable if you need great results. You should therefore put a lot of thought on the design of your hotel for better results. You can either choose to setup a Malaysian Sdn Bhd company or you can incorporate a Malaysian Sdn Bhd company. Either way, the hotel business is one of the most productive in Malaysia and a lot of thought should go into the initial start up.